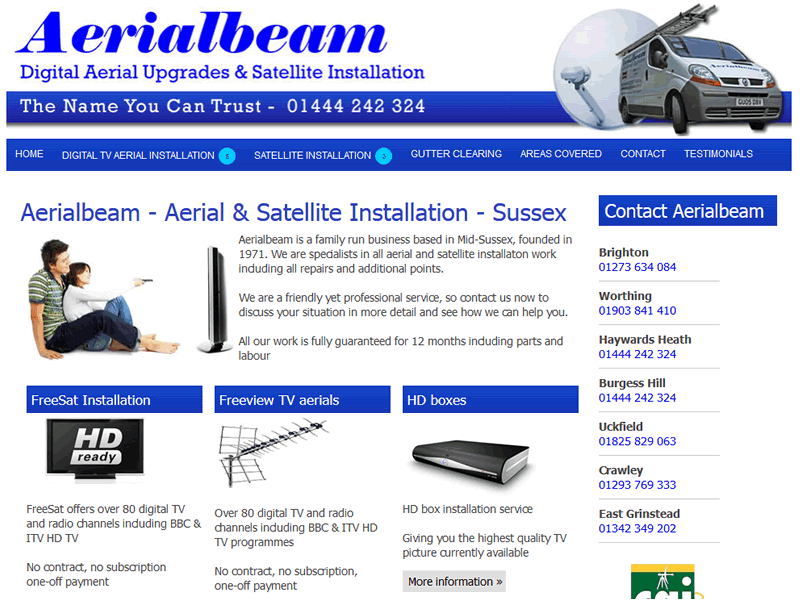 Aerialbeam are based in Burgess Hill. They provide satellite and aerial installation services across the entire Sussex area. We built the original website so they came back to us to have it updated for mobile screen sizes. We provided a responsive layout which displays perfectly on mobiles and tablets as well as traditional desktop PC's.